Pope Francis: The World Youth Day against the World without God Pope Francis: The Path of Reforms Starts Again? 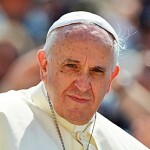 Pope Francis: A New Role for Commissions? Pope Francis confirmed the return of commissions by establishing on August 2 a commission to study the issue of women in the diaconate. The composition of the commission, however, leads one to think that its task is completely different from that of the commissions Pope Francis established at the beginning of his pontificate to tackle economic and financial problems. Rather than trying to dismantle a system, the latest commission of Pope Francis seems to reiterate the fact that Pope Francis wants a Church in the state of a sort of permanent synod. That is, he wants an ongoing discussion that is not necessarily intended to lead to any final outcome. The mandate of this new commission is not clear yet: will it provide just a kind of backdrop? Will it do no more than review the conclusions already established at the beginning of the 2000s by the International Theological Commission (ITC)? Will it give suggestions to Pope Francis concerning the admission of women to the diaconate? Everything is still open. Certainly, this does not seem to be among Pope Francis’s main concerns. He agreed to look into the matter during his May 12 meeting with the International Union of Superiors General of women’s religious congregations. Then, he took a partial step backward during the in-flight press conference while returning to Rome from Armenia, by recalling the 2003 ITC document on the issue. Finally, he made the decision to establish a new commission, and he did it his way: without giving any advance notice to anyone. The way the commission is composed is noteworthy. It is made of 7 men and 6 women, and it is chaired by Archbishop Luis Francisco Ladaria Ferrer, a Jesuit who serves as the Secretary of the Congregation for the Doctrine of the Faith. The commission’s membership includes champions of the female diaconate, like Michelina Tenace and Phyllis Zagano; theologians considered among the “conservative ranks,” like Fr. Robert Dodaro and Fr. Karl Heinz Menke, respectively, a patrologist and a dogmatic theologian; skilled professors in the history of Christianity with a certain sympathy for Cardinal Walter Kasper’s theology, like Francesca Cocchini; and women considered as probably in the middle on the issue, such as Sr. Mary Malone, Rector of the Pontifical Antonianum University in Rome, and Sr. Nuria Calduch-Benages, a member of the Pontifical Biblical Commission. In addition, the commission includes two Jesuits (besides Archbishop Ladaria), Santiago Madrigal Terrazas and Bernard Pottier. And finally there is a specialist in spiritual theology, Marianne Schlosser, a professor of dogmatic theology, Msgr. Piero Coda, and a professor of ecclesiology, Fr. Aimable Musoni. At a first glance we might say that the commission’s membership represents all the sensitive issues, from spiritual theology to dogmatic theology, from patristics to fundamental theology. All of these people will be called upon to discuss whether there will be room for deaconesses in the life of the Church. The discussion will likely pivot on the texts of the “Church Fathers.” At a time when there still was not a structured “Church” in the later sense of a central institution, bishops had more autonomy. During those times there were women – called “deaconnesses” – who used to assist bishops and priests in some circumstances, for example with the immersion of adult women during baptism. Whereas some ancient texts say that the bishops “blessed” these women during their commissioning ritual, other texts say that the bishops “ordained” them. In fact, it is yet unclear how the bishops managed the issue at a local level, and how much weight these local decisions exerted upon the wider ancient Church. Certainly, this is the first commission Pope Francis has established to discuss a theological issue, while the other ones – on finances, on the IOR, on media – mostly dealt with organization. The rationale behind the first commissions was to meet the requests of the pre-conclave meetings, which mostly focused on organizational issues and far less on theological ones. This is one of the reasons why the issue of female deacons was never at the center of the pre-conclave meetings. These meetings discussed a less clerical Church, but also a major role for women in the Church. However, these discussions often did not touch on the theological heart of these issues. Theology was discussed only during the two-year-long synods on the family, but even in that case there was the risk of a sociological reductionism. On this point it is enough to mention that the 2014 Synod’s mid-term report was widely challenged for the almost total absence of biblical references in it. In the end, the role of a commission of a theological kind represents an innovation in Pope Francis’s pontificate. Perhaps, this decision is part of a path he began about one year ago, with the attempt to find a difficult balance between the wish to be Pope and to maintain the spirit of the Archbishop of Buenos Aires. This search for a balance can be noted by the continual quotations of the previous pontificate, as if Pope Francis wanted to show that there is no rupture with Benedict XVI’s pontificate, and no revolution, but that everything he does is well grounded in past choices. Pope Francis also quoted Benedict XVI during the meeting with Polish bishops on July 27, during the World Youth Day celebrations. The meeting was closed to the public, but the Holy See Press Office later provided journalists with a complete transcript of the meeting. These words also show that there is an ongoing exchange between the Pope and the Pope Emeritus. This is useful, as Pope Francis’s pontificate is being compared more and more with the pontificate of his predecessor. The comparison is also favored by the much-awaited publication of a new book-length interview granted by Benedict XVI to Peter Seewald: it is the first time a Pope can provide an assessment of his pontificate. Benedict XVI is often used in order to attack Pope Francis. Pope Francis, on the other hand, has wanted to emphasize his closeness to his predecessor, while the predecessor, during celebrations for his 65th anniversary of priesthood, publicly praised Pope Francis’s choice to go forward in the path of mercy. Certainly, the discussion raised around deaconesses clearly showed Pope Francis that there is a well-defined theological agenda acting behind his back. To say it unequivocally, this agenda has been active behind every pope’s back starting from the Second Vatican Council. After the Council, many theologians pressed the Church to be “open to the world”, a euphemism used to ask for – or push for – substantial changes in Church doctrines. Once Blessed Paul VI understood this, he re-established doctrine with “Humanae Vitae” (whose drafting was subjected to many pressures), and then he stopped writing encyclicals altogether. St. John Paul II knew it too, but he had the charisma and youthfulness (together with the experience matured in a country under Communism like Poland) to face the attacks that were strongly present in the first part of his pontificate, and that weakened in intensity only when he was debilitated by illness. Pope Benedict XVI also knew it: he experienced personally as an expert of the Second Vatican Council the pressure for Church reform – and these pressures focused on weakening the Roman Curia and promoting women’s ordination. Now even Pope Francis has become aware of these pressures. In fact, he was among the candidates for the papacy considered in the 2005 Conclave, and then once again in 2013 with the hope that he was going to make a substantial difference also in theological terms. Nevertheless, this kind of change will hardly take place. 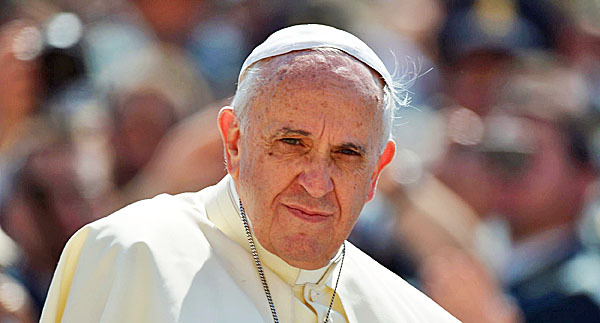 The Pope is very strong on the path of mercy, but he is also a conservative on major theological issues – depite the fact that he takes a pragmatic approach to them. Thus we can understand Pope Francis’s anger over the fact that the issue of deaconesses has been hijacked, and we can also understand his decision to establish a commission with part of its membership expected to reiterate the 2003 conclusions. Unlike other commissions, the commission on deaconesses seems to be born with a conservative spirit. But meanwhile, Pope Francis will have to watch out for media campaigns that push for a more secular Church. Perhaps this latest commission will open up a theological discussion again, while leaving aside the merely political issues. An opening to the ordination of women to the diaconate would be considered a first step to their ordination to the priesthood. Many hope for this outcome, even though they do not say so openly. After “Protestantization,” the Catholic Church might also be fighting a process of “Anglicanization,” as Anglicans have already lived through the discussion over women in the priesthood. This incipient Anglicanization would coincide with the eve of the Anglican Primate’s October 5 visit to the Pope.